Open only to WB Employees. Warner Bros. Employees can call 818-954-4916 for upcoming parenting workshops. Enjoy this unique play experience featuring easel painting, art experiences, outdoor play, music and exploring a new environment. Participate in discussions facilitated by an experiences parent-educator about important concerns such as developmental steps, emerging independence, sleep issues, nutritional tips, self-esteem, toilet teaching and discipline styles. What makes some children resistant to bedtime? Explore the developmental nature of "sleep problems". Learn specific suggestions for encouraging your child to sleep in his/her own bed (when you decide it is time), for helping your child sleep through the night, and dealing with nightmares and night terrors. Discuss your questions and experiences with toilet training. What are the signs of readiness? How does one begin the process? What are some ideas to avoid the feelings of failure and frustration so often felt around this developmental task? Dr. Brazelton's Step by Step Method will be discussed. Learn strategies for handling harmful actions, tactics for temper tantrums, helping your child learn to share and how to choose effective consequences. The discussion will focus on the importance of setting limits and ways to encourage responsible behavior. Learn problem-solving skills to help siblings deal with conflict and specific strategies to encourage the sibling bond. Highlights from the book Siblings Without Rivalry by Faber and Mazlish will be explored. A lively discussion will tackle how to take care of yourself, your family and your work. Hear about Dr. Brazelton's "seven practical suggestions" and his concept of quality time; choose priorities and visualize your goals. Personalize time management skills and scenario planning. Learn useful tips for making our lives more manageable. Understand your child's fears about your divorce and develop a clear set of goals and strategies to minimize the effects of divorce. Studies give parents many suggestions that have helped children cope with the changing family dynamics. What are the signs of stress in children? What are common childhood fears at different developmental stages? Learn strategies for helping children manage stress. How can you encourage your child's quiet inner feeling that adds up to "I'm glad to be me"? Discussion will include specific suggestions for encouraging high self-esteem in your child. You can make a difference in how a child sees him/herself. How Does Your Child's Temperament Shape Behavior? Discuss the temperament clusters of behaviors: Feisty, Fearful and Flexible. How does your child's inborn temperament shape his/her behavior? Learn everyday strategies to handle various behaviors. Is your child beginning nursery school or child care or does he/she have difficulty when you go out in the evening? 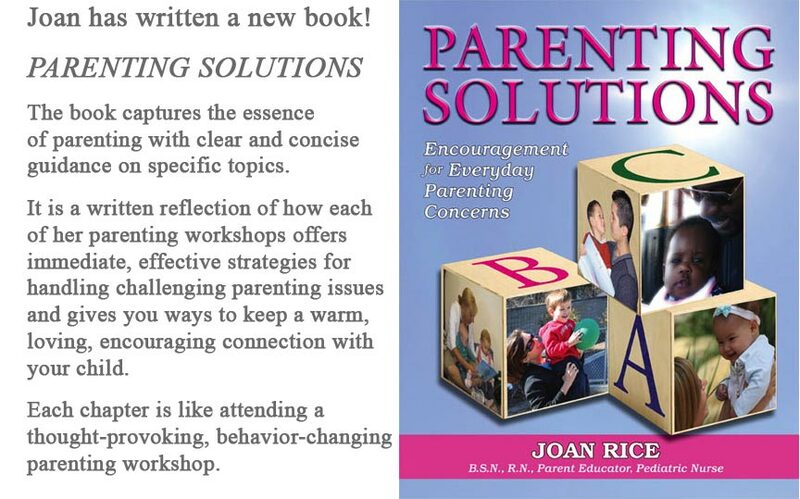 Learn about attachment and specific strategies for helping to ease separations. Learn ways to help your child feel safe and secure in a new environment. Learn practical information to help your child(ren)adapt to the arrival of a new baby sister or brother. Explore specific ways to help them feel included. What causes us stress and how do our bodies respond? Assess your stress level and learn specific ways to reduce and manage the stress of daily life. 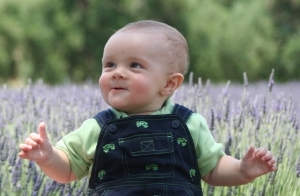 Learn how a child's brain develops during the first three years of life--categorizing and trying to compare a new experience to past experiences. Discover ways to improve muscle coordination, hand-eye coordination, and the ability to make choices. Easy directions will be given for making several learning games. www.centralcoastkids.com At Central Coast Kids, they live and play on the California Central Coast and invite you to enjoy all that there is to offer in this wonderful area. Instructor Joan Rice, R.N., Parent Educator and Pediatric Nurse, is a graduate of Duke University and holds a California Adult Education Teaching Credential in Parent Education. She has 30 years of parent education experience. For 14 years, she was the Director of Parent Education for the Family Resource Center, a parenting center in Princeton, NJ serving 250 families. She is currently teaching parenting classes for Warner Bros. Studios, the Burbank Preschool Education Program, the Parent Participation Programs of Arroyo Grande and San Luis Obispo, and Allan Hancock College in Santa Maria.